Today, Harvard Law School Food Law and Policy Clinic, in partnership with ReFED, a multi-stakeholder non-profit committed to reducing U.S food waste, released a new tool that will aid advocates, policymakers, investors, businesses, and nonprofits in improving the food waste policy landscape. Over the past few years, FLPC has produced various 50-state charts on multiple areas of food waste policy, which are generally used as static charts or appendices to several of our published reports and toolkits. In order to share this data with more stakeholders across the country, we have created the U.S. Food Waste Policy Finder, an interactive tool for exploring federal and state policies that affect food waste reduction and diversion. The tool provides a comprehensive database of laws surrounding food waste and contains searchable maps that allow users to explore state-level laws around date labeling, tax incentives and liability protection for food donation, feeding food scraps to animals, and organic waste bans and waste recycling laws. As over a dozen states are seeking to change food waste laws, this tool provides a valuable look into what works (and what doesn’t), and how federal and state policy can accelerate food waste reduction. 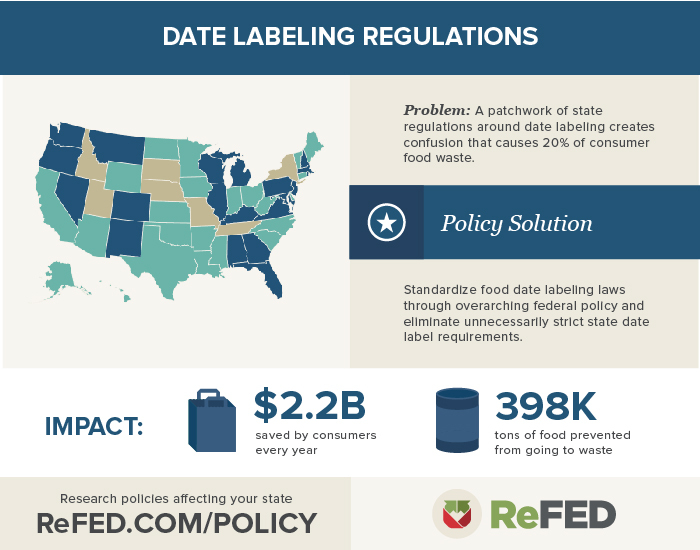 The tool also includes an in-depth section on date labeling laws in order to emphasizes the nation’s patchwork system of date labeling laws that vary drastically from state to state, and highlights the need for an overarching federal date labeling system. While an abundance of food is produced in the U.S., 40% of this wholesome, healthy, and safe food ultimately ends up in the landfill. In order to meet the national food waste reduction goal to cut food waste in half by 2030, there is a great deal of work to be done. The release of the U.S. Food Waste Policy Finder adds to FLPC and ReFED’s existing work to foster valuable cross sector collaboration to promote viable solutions to the nation’s food waste problem. FLPC hopes that these tools will inspire action, advocacy, and policy change to reduce unnecessary food waste. 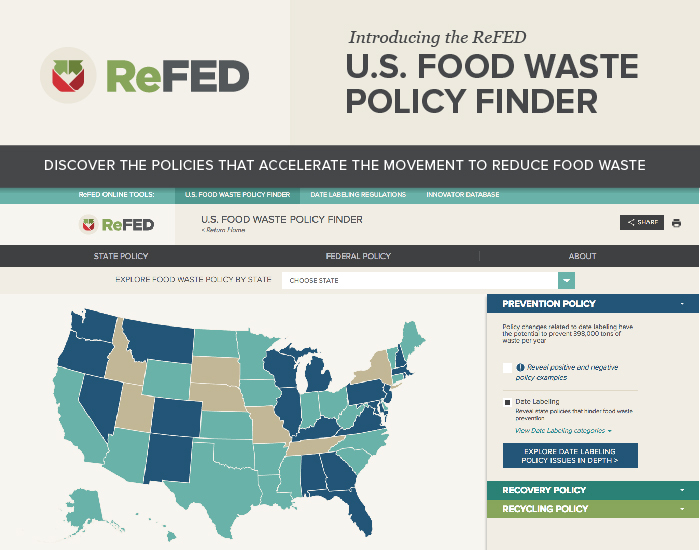 Explore the U.S. Food Waste Policy Finder now! Read the press release from ReFED. 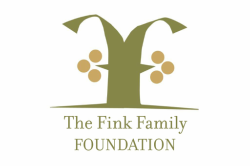 Thank you to the Fink Family Foundation for supporting FLPC’s contributions to the U.S. Food Policy Finder. On March 30, 2017, The New Food Economy published the article “As Veggie Prescriptions Gain Traction, Food Banks Prepare to Personalize Nutrition—and Protect Privacy,” which references multiple reports from CHLPI’s Food is Medicine initiative. Written by Kait Beach, current student in the Food Law and Policy Clinic. Image from Duke Campus Farm’s Facebook page. Tilth. I had trouble even wrapping my tongue around the word at first, but the meaning was clear enough to see. 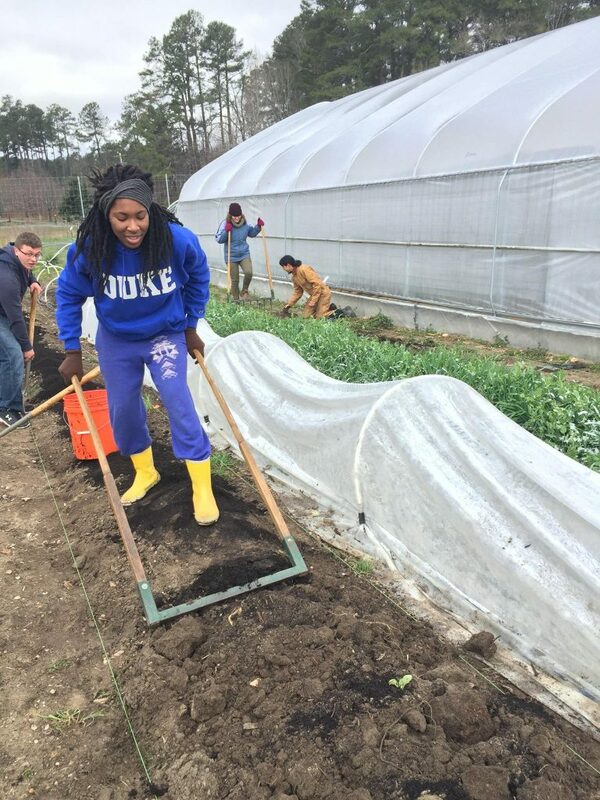 We travelled to Durham, North Carolina with the Food Law and Policy Clinic, then to the Duke Campus Farm. Handling two clods of dirt freshly dug from the ground, one felt of a heavy clay-like mud and one of a crumbling, root-filled, rich-looking cake. For someone like myself who has only ever visited farms as a neighbor or tourist, there was a steep learning curve with plenty to ask about—whether it was tilth, cover crops, starting a CSA program, or rigging an irrigation system. Beyond a lesson in the basics of farming, it was a lesson in how beginning farmers must feel. Working with the Clinic on Farm Bill issues and focusing on market access (basically, how a farmer can find and reliably get buyers), I was quickly finding out just how much information there is to master. The learning curve for a new or expanding farmer is monumental. Our short North Carolina travels certainly showed that and revealed some of the many unexpected hurdles for farms aiming to turn a profit. There are the inputs—like seeds, water, and fertilizer—and the equipment, but there is so much more to a successful production operation. Each farmer or farm operation not only has to learn a trade, they must also learn how to run a small business. Picture from Eastern Carolina Organics’ Facebook page. Our visits around the Durham area hit on many aspects of the small business savvy that a farmer must navigate. 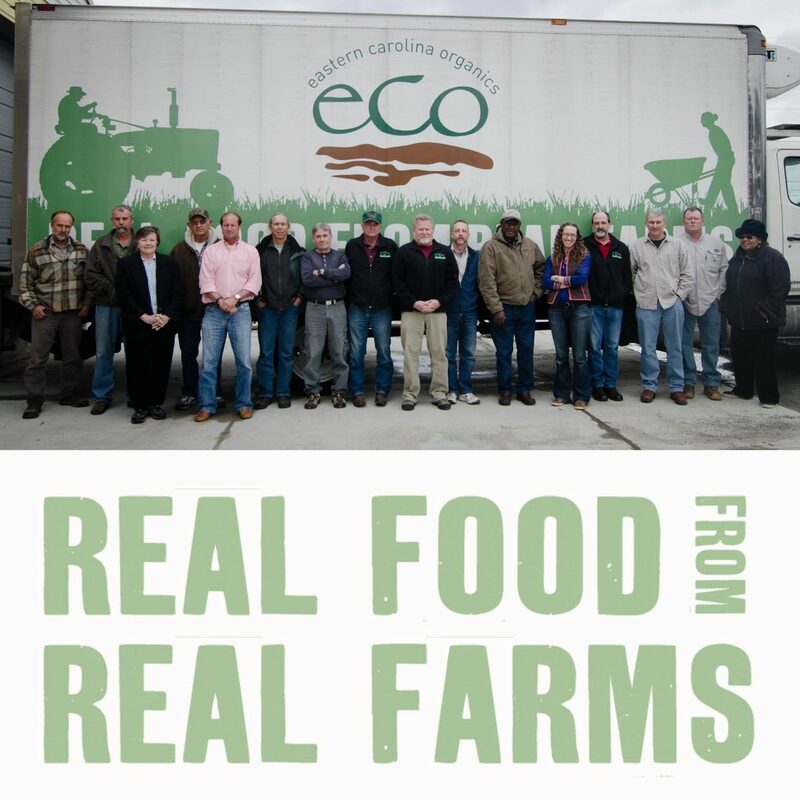 We discussed product aggregation and distribution with ECO (Eastern Carolina Organics). This producer-owned venture lets buyers reach multiple organic farmers and have products distributed from one place. We got to see and hear about the reality of commercial walk-in coolers, delivery equipment, loading dock space, and the sales needs of the collective’s farmer-owners. We also talked with Julius, an advocate and farmer himself who works with other farmers to meet their needs and get their products to buyers. With other stops, we met farm experts to learn about getting farm loans and accessing education and business-building resources, crucial to setting up shop in the first place. Then a local agricultural lawyer walked us through some of the many legal needs involved in operating a farm. Before a single sale can happen, all of the ducks (or cabbages, as the case may be) have to be in a row. Seeing real-life operations and talking about economic reality was an eye-opener. In addition to the Duke Campus Farm, we also visited a working goat dairy and herd about making value-added products, getting certification and meeting regulatory requirements. But we also learned that even with well-established product lines and loyal customers, economic reality meant the farm operation was much safer with a separate business to support it. In translating those discussions to our work for the Clinic, access has indeed been a key concern, but access in even a more basic sense. Where does information come from? How is access to the information controlled? What are the demands of, say, accessing a government grant program—finding out about and actually applying for it? Perhaps most importantly, how can interested parties access each others’ expertise? Our visits made me look much more deeply not only at how to expand market access resources, but how to expand the accessibility of those resources. All in all, it was a whirlwind introduction to many (though certainly not nearly all!) of the steps to selling grown or raised products. It’s easy to take for granted the goods that stock our supermarket shelves and farmers’ markets, but it is quite another thing to get goods there for customers to buy in the first place. Written by Dominique Trudelle, current student in the Food Law and Policy Clinic. 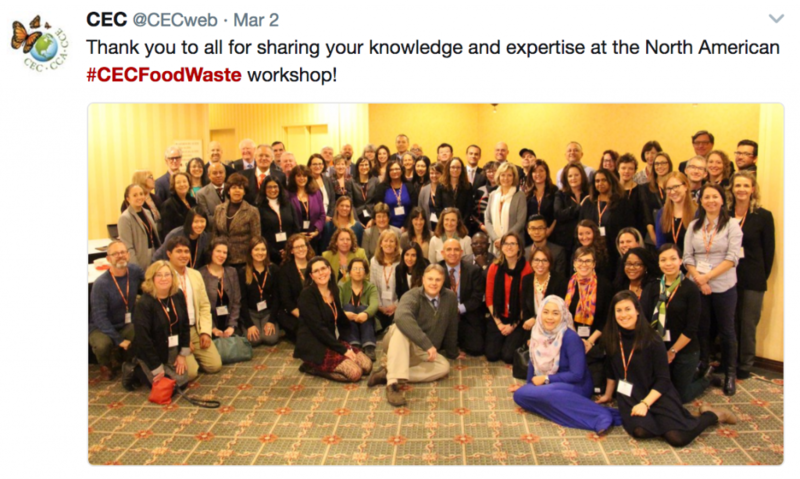 As a Continuing Clinical student in the Food Law and Policy Clinic this semester, I spent two days at the North American Workshop on Food Waste Reduction and Recovery in Toronto, Canada. Since starting the clinic in January, I have been learning about and working on FLPC’s food waste and food recovery initiatives. Specifically, I helped to finalize a recent report produced in partnership with NRDC, Don’t Waste, Donate: Enhancing Food Donation through Federal Policy, detailing how the federal government can better align federal laws and policies with the goal of increasing donations of safe, surplus food to those in need. Through this work, I have learned about improving liability protections and tax incentives for food donation, as well as ways to support innovative food recovery models. 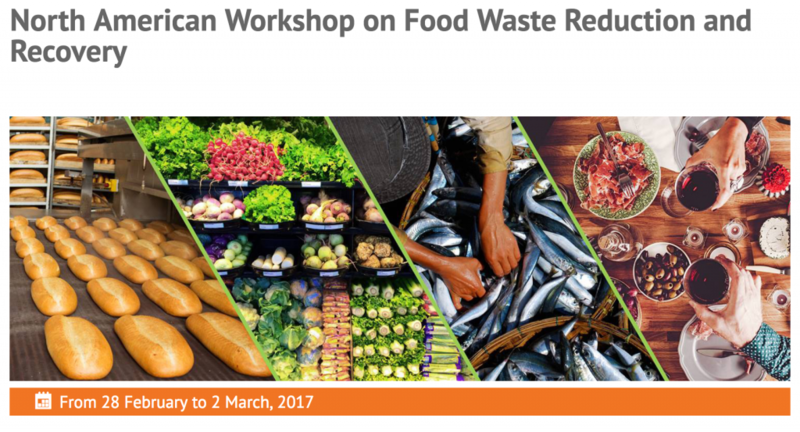 At the Workshop, interacting with other organizations highlighted how each approaches tracking, reducing, and recovering food waste. The Workshop brought together experts working in government, industry, business and academia from Canada, the United States, and Mexico to discuss opportunities to reduce food waste across the food supply chain in each country. The Workshop included a mix of short presentations about topics ranging from donation of surplus foods by retailers, tracking food waste, and liability protections for food donations in the U.S. by retailers, innovative food recovery organizations, and academics. These presentations were followed by roundtable discussions. Having focused primarily on food recovery, I appreciated the opportunity to discuss food waste reduction with others whose perspective and strategies differ from those I have focused on during my clinic. It was also exciting to hear about the ongoing work of many of the participants. For example, one doctorate student described spending much of her time driving to various farms to meet with growers in order to better understand how much produce is tilled under. She also explained the difficulties that come along with her work, which helped me better understand why there is limited data regarding food that goes to waste on farms. I also listened to participants discuss their experience working with hotels and restaurants, and their strategies for spreading the message that throwing away safe, wholesome food is akin to throwing away money. These presentations showed me another source of food waste that I had not previously considered and pushed me to think about how to frame a particular message so that it resonates with the intended audience. Ultimately, conversations with Workshop participants left me with a better understanding of the goals of various stakeholders in the food waste reduction and recovery landscape and a better sense of the clinic’s role among these groups. In addition, organizers presented a working draft of the Commission for Environmental Cooperation’s (CEC) report, Characterization and Management of Food Waste in North America, in order to solicit feedback from attendees. Organizers asked participants to join one of about a dozen groups, each discussing a particular subject and drafting a recommendation to be included in the report. Along with representatives from anti-hunger organizations, food banks, other food recovery organizations, and California, I joined the roundtable discussion about increasing donations of surplus food. Although the discussion was short, it was interesting to see how each of us had different suggestions for arriving at the same goal. While my suggestions aligned with those presented in Don’t Waste, Donate, others much closer to the ground could explain in detail the barriers they regularly face and policy changes they wished to see. Better understanding the challenges food recovery organizations face helped me contextualize the clinic’s work on this subject and recognize that it is important to continue to support their work by pushing for policy changes the state and federal levels. I am grateful to for the opportunity to have participated in the Workshop’s conversations. Listening and learning about the work of various participants helped me connect with a broader audience as we continue tackle food waste. This blog post was written by Kamika Shaw, a Student in 2017 Spring Semester of Harvard Law School’s Public Health Law and Policy Seminar. By any measure, the state of the American health care system is in flux. [i] As part of a package of so-called “health care reform,” the Trump Administration enthusiastically supports changes to the fundamental structure of Medicaid. Specifically, in support of rhetorical calls for increased “flexibility,” the administration has voiced its support for block grant measures that would give states more control over the administration of Medicaid, while simultaneously reducing federal government spending. [ii] Republicans have long suggested block grants as part of health care reform. 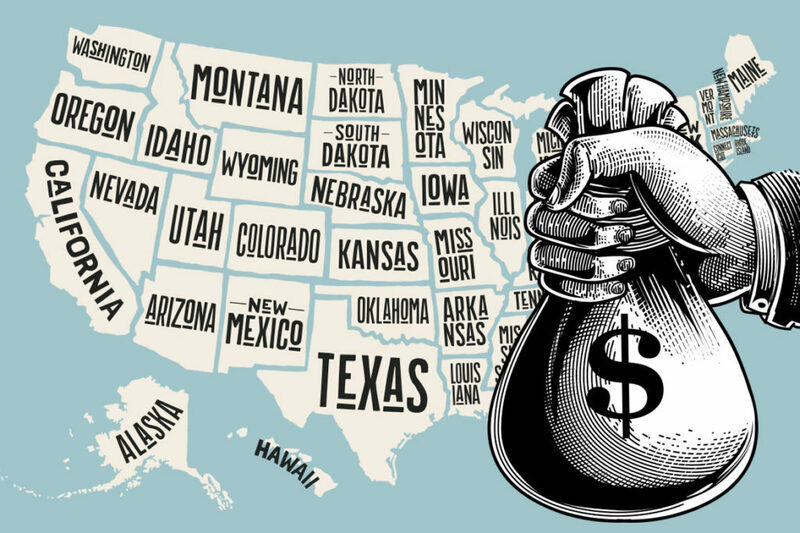 [iii] Block grants are fixed amount of federal funding given to a state. Republicans who support block granting believe this methodology would give states more flexibility in terms of how to use their Medicaid funding, and allow states to be more innovative in providing health care delivery systems that are tailored to meet their constituent’s unique health needs. [iv] Despite this friendly packaging, there is one glaring stumbling block that proponents have failed to adequately address: waivers. Block grant proponents fail to recognize that much of the flexibility they ostensibly seek is already available under Medicaid waivers. Under the statute, waivers give states the ability to create and innovate by allowing them to opt out of certain federal minimum provisions, allowing states to determine where Medicaid dollars would be most useful. These waivers are approved at the discretion of the Centers for Medicare and Medicaid Services. Waivers appear to provide just the type of flexibility and state discretion congressional leaders are using to justify block grant proposals. Waivers give states true flexibility, allowing them to expand Medicaid coverage, or contract it. While Republicans frame block grants in terms of flexibility and innovation, block grants would actually decrease flexibility. Block grants constrain state budgets in such a way that expansion would be impractical, thus fundamentally changing the way Medicaid operates. Instead, the budgetary constraints would force states to find ways of contracting programs while still providing adequate coverage. Undoubtedly, this is exactly what Republicans intend. The only fair conclusion is that block grant proposals have very little, if anything, to do with flexibility. Rather block grant proposals are driven by a preference for fiscal conservatism, and a rhetoric of personal responsibility, which rejects the idea that entitlement programs like Medicaid are valuable and worthy of government funding. Viewed on the justification of flexibility alone, one must ask whether block granting proposals are worthwhile, in light of the authority for state innovation that currently exists under waivers. The present allowance for flexibility afforded by waivers belies the assertion that block grants are a necessary sea change to the structure of Medicaid. Those in favor of block grants argue states should not have to endure years of waiting for waiver approval. Further, they argue that allowing existing waivers to adjust or keep those programs without asking for a waiver renewal, would increase both flexibility and creativity. [viii] However, this type of justification fails to account for the fact that waivers already provide the same type of flexibility. Waivers provide states with a great deal of latitude in terms tailoring and administering their respective programs. Massachusetts’s universal health care system is possible because of an 1115 waiver. [ix] In Indiana, then Governor Mike Pence and Seema Verma, President Trump’s appointee for administrator of CMS, used an 1115 waiver to implement a Medicaid scheme that created health savings accounts for recipients, making the program more closely resemble private insurance plans. [x] Rhode Island has used 1115 waivers to create its own block grant-like scheme. [xi] Given the amount of flexibility waivers currently grant to states, the flexibility and state-discretion arguments that proponents of block grants have argued seem dubious. The application process for waivers and extensive government oversight have desirable impacts: it forces states to fully think out their plans before spending money trying to implement it; it encourages uniformity and program norms across states; and negotiations with CMS reduces instances of statutory violations. Additionally, the oversight makes sure that state innovation does not come at the expense of Medicaid recipient’s access to care. The oversight and administrative procedures also aligns with the way we treat other entitlements and civil rights. For example, under Title VII of the Civil Rights Act of 1965, the federal government oversees employers and acts as the arbiter of workplace place discrimination suits via the Equal Employment Opportunity Commission. [xii] Unemployment Insurance works similarly to Medicaid; it is a federal-state jointly funded program, and the Department of Labor oversees and regulates its administration. [xiii] These minimal standards are necessary to make sure that those who are most vulnerable have some way of enforcing their rights. Given that the current cost-sharing scheme allows ample flexibility, the claim that flexibility is the reason to embrace block grants is dubious. Rather, the real impetus behind the block grant proposals is both fiscal conservatism and an aversion to government spending on entitlement programs in general. Block granting would shift much of the cost burden to the states. Furthermore, the slower increase rate for federal spending on Medicaid per year would mean less government spending on Medicaid in general. But fiscal conservatism is only part of the picture. Republicans often talk about health care not only in terms of free choice, but personal responsibility. The rhetoric of personal responsibility places the blame for poor health outcomes on the individual, and does not take potential systemic inequalities into account. Health care is a particularly unpalatable forum in which to apply these ideological beliefs—no one ever asks to get sick. From the perspective of a person who embraces the personal responsibility framework, Medicaid might be viewed as doing more harm than good. Proponents of block granting ought to be more honest in revealing that the end of Medicaid would be desirable, rather than dressing up their concerns in the language of flexibility. [iii] Alternatively, Republican proposals have included “per capita” caps. Under this structure, the annual Medicaid allotment of federal money is set on a per-enrollee basis using established historical baselines. Unlike a block granting structure, per-capita caps fluctuate with enrollment. [viii] Supra note 2 at 28. Written by Tyler Mordecai, current student in the Food Law and Policy Clinic. I took the Food Law and Policy (FLPC) seminar last year, and I enjoyed the material so much that I decided to enroll in the Clinic this Spring. Now in the clinic, much of my focus has been on FLPC’s state and local food waste initiatives. We work with various state and local advocates to reform and modernize their laws aimed at reducing the more than 62 million tons of food that goes to waste each year. Among other projects, I am currently creating a D.C.-specific food donation resource guide, which will review and analyze the applicable food recovery laws in D.C.
As part of my work on the D.C. resource guide, on Tuesday, March 28th I had the opportunity to testify before the Washington D.C. City Council about a new law under consideration there: The Save Good Food Amendment Act of 2017. 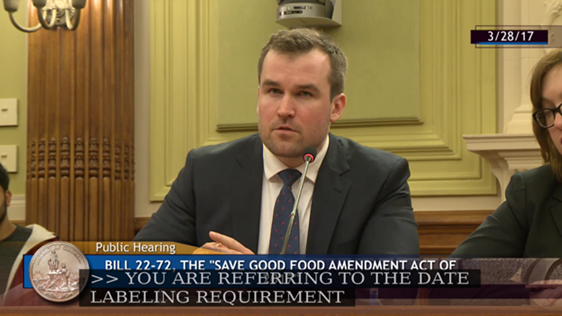 The Act would reduce food waste by (1) providing tax credits for donated food, (2) extending liability protections for those who donate food, (3) simplifying D.C.’s food date labeling system, and (4) publishing a food donation guide. Tyler Mordecai delivers testimony to Washington D.C. City Council. At the hearing, I thought I was only going to read a statement advocating for passage of the law, so it was quite a surprise when D.C. Councilmembers asked questions for more than half an hour! The Councilmembers were incredibly interested, but also a bit reluctant, about the proposed legislation. They used my testimony as an opportunity to ask some very pointed questions and gain more clarity about the bill. Some examples: Why is a tax credit more beneficial than a tax deduction? Which specific foods pose a safety risk after their date label has passed? Which states have enacted similar liability protections, and has there been any issues in those states? The Q&A portion of the testimony was my favorite part of the hearing—it was a great experience to have a discussion with elected officials about how to use the law to effectively reduce food waste. Additionally, I was able to listen to the testimony of other interested parties that day—various food banks, charities, and food recovery groups were also there to advocate on the law’s behalf. I could see just how far-reaching the effects of the proposed law were by hearing the testimony of the other organizations in the room. While FLPC works directly with many food recovery organizations, it was still an eye-opening experience to see how the FLPC fit into this larger group of advocates. It has been incredibly rewarding to interact with the individuals who run these organizations and dedicate their life to combating food scarcity. More than anything, testifying in D.C. was an amazing opportunity for me to improve my public speaking and advocacy skills. I’m typically not the biggest fan of public speaking, but I felt calm and prepared during the testimony, thanks to the support of Professor Broad Leib, the Clinical Fellows, and especially the other students. Too often in law school we only learn about the law in textbooks and in classrooms without having a true understanding of how it impacts people’s everyday lives. Working with FLPC has given me the critical opportunity to witness just how the law can positively impact real communities.